Next to baseball’s opening day, nothing quite says spring like the beginning of the Masters tournament, and our 2015 Masters Edition of The Grain is up and running with stories you won’t find elsewhere, along with those you’ve come to expect from The A Position’s all-star team of writers. As usual we call on our handicapping expert James Mason to sort out the field and give us some kind of edge in our fantasy golf leagues. (No one is betting real money, right?) 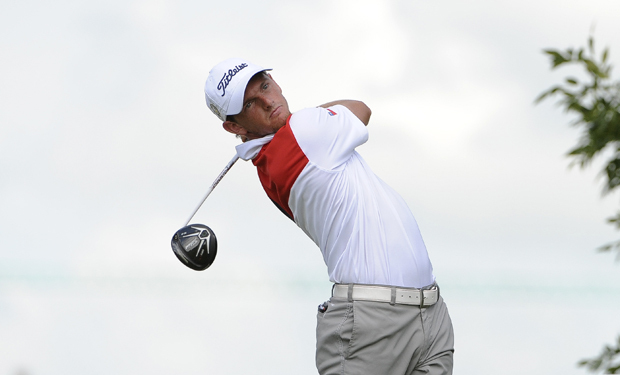 And we give you four key areas to keep an eye on, factors that the tournament may hinge upon. We’ve embedded a few videos in this year’s emagazine, including the winning putt from Nick Faldo in 1989 and—perhaps more importantly for Tiger Woods—some short game help from our master of instruction, Roberto Borgatti. In “Viva El Golf!” Gabe Garcia examines Augusta National’s new relationship with Latin America, one that this year’s first-time entrant, Matías Domínguez certainly endorses. This year marks a half-century mark since Jack Nicklaus won the Masters in 1965, and Dave Gould considers that a good enough occasion for a pair of celebratory rounds in Myrtle Beach, at Nicklaus-designed courses naturally, at the Long Bay Club and Pawleys Plantation. And with Mother’s Day just over a month away we offer more playing suggestions at nine great courses deemed particularly women-friendly. Mom might not approve of our cigar habit, but one of this issue’s lifestyle pieces is an expert primer on how to handle a good cigar. 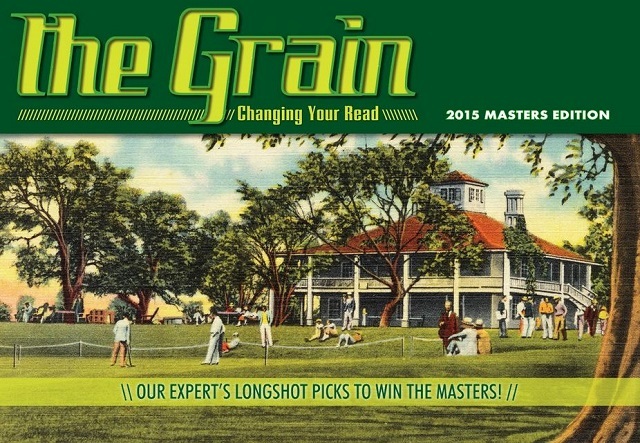 All just a click away at the 2015 Masters Edition of The Grain.